Portofino Pools is the leading commercial pool maintenance and residential pool maintenance provider in Northeast Florida and greater Jacksonville, Florida. We have a tradition of excellence and high standards (BluDiamond Standards) in servicing our commercial and residential pool maintenance clients. www.PortofinoPools.com Portofino is a symbol of long-standing quality; a family owned and operated company that has cared for the most pristine pools in Florida for 60 years. Exemplifying the Portofino philosophy not only means taking pride in the quality of workmanship, but in the commitment made our customers. Portofino strides to meet all client needs and to surpass all client expectations while maintaining the most prestigious pools with detail and expertise. Portofino offers a variety of services from pool care to education to the creation of your outdoor living space. Portofino takes pride in their commitment to their clients and their clients’ needs. Portofino is responsible for maintaining some of the most prestigious pools in Northeast Florida, and continues to do so because of the Portofino BluDiamond Standard it established. Every employee attends Portofino University and the entire office staff are Certified Pool & Spa Operator Certified through the National Swimming Pool Foundation and adheres to the Portofino BluDiamond Standard, a standard established by president and owner Jack Manilla. Portofino Pools is family owned and operated and values communication, flexibility, and strong relationships with our pool maintenance, pool repairs and pool service customers. Every employee is encourged to give volunteer community service. In 2014 over 1400 hours were served and 2015 tracking promises to exceed 1500 hours. Jack Manilla, CBP, CSP, CPO, President is Chair-elect Board of Directors for the Association of Pool & Spa Professionals, Board of Directors of Florida Swimming Pool Association, Board of Directors North Florida Hotel & Lodging Association, Board of Directors Southside Business Men's Club, JaxChamber of Commerce, CEO Wise Counsel and church ministries. Pool Scouts of the First Coast is your go-to source for a perfectly clean pool. Our highly trained pool service experts are dedicated to maintaining crystal clear water and healthy swimming conditions so your pool is a happy place for you and your family to enjoy anytime. With Pool Scouts maintaining your pool, you can stop stressing about managing chemical balances and start slathering on the sunscreen. Our state of the art technology and best in class customer service offers a new level of professionalism and service in the industry. When we say Perfect Pools, Scout’s Honor, we mean it - 100% satisfaction guaranteed. 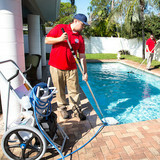 Enviropro Pool Care is a pool service / pool company serving the Atlantic Beach, FL area since 2000. Services include Pool Service, Pool Cleaning, Pool Maintenance, Commercial Service, Water Testing and Acid Washing. 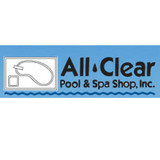 All Clear Pool & Spa Shop can repair any pool system. We will bring all our tools and equipment to you. We repair all makes and models. Call us today! We are a family-owned, full-service pool company that has been serving the greater Gainesville area for over 35 years. We provide pool related cleaning, plumbing, electrical, and repair services, as well as filter, heater, and salt system installations. Welcome to AAA Leak Finders Inc. Residential & Commercial Swimming Pool/Spa/Fountain Electronic Leak Detection & Repair Pool Leak Specialists serving North East and Central Florida Since 1990 from Kissimmee Florida to Brunswick Georgia, with thousands of happy customers in between, if you’re Pool or Spa is losing water, use The Bucket Test to determine if it is losing water and then call our secretary and talk with her about the different options available. Usually a repair is a simple $25-$100 fix and the Pool/Spa is Usable the same day within 6-8 hours of a repair being made. Fun State Pool Service offers quality pool service in Gainesville and the surrounding areas. Our company also offers pool repairs to Alachua County and the surrounding cities. Our family owned and operated business has been proudly serving the community since 1978. Over the years, we have gained recognition for delivering top-notch services. 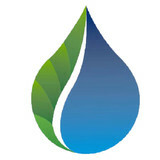 We are committed to serving you and providing you with state-of-the-art, energy-efficient solutions. 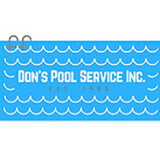 Fun State Pool Service is the best choice for your pool needs. We use the highest quality equipment and materials, and we hire only the very best employees. Our professional team is dedicated to each and every project, and we will not settle for anything less than complete customer satisfaction. Pools and hot tubs are great fun, but they also come with not-so-fun upkeep and maintenance. That’s where Orange Park, FL pool cleaning services come in — leave the dirty work to the professionals so you can enjoy swimming and relaxing without a single worry. Whether you’ve got a leak, cracked tile or just need recurring cleaning, you’ll need an Orange Park swimming pool repair and maintenance company that you can trust to get the job done right. What should I look for when hiring a pool cleaning service in Orange Park, FL? Pools and hot tubs are big investments, so you’ll want to make sure to protect them by hiring an expert who cares about them just as much as you do. Check that the Orange Park swimming pool maintenance service you are interested in actually specializes in the type of pool you have — chlorine and salt water pools have very different needs, and in-ground versus above-ground pools will require different upkeep and repair methods. Also, know who will be doing the repair or service; if it’s one of the larger swimming pool services in Orange Park, FL, request that you get same person every time, otherwise you could get inconsistency in treatments. Good Orange Park pool professionals will keep a consistent schedule and log everything they do so that it can be referenced in the event that you switch companies or something does go wrong. Like any other professional, look for local pool cleaning companies near you with plenty of good reviews and relevant experience. Find an Orange Park, FL swimming pool repair and maintenance specialist on Houzz. Narrow your search in the Professionals section of the website to spa and pool maintenance companies in Orange Park, FL and read reviews and ratings for pros in your area.